A high technology formula with exclusive natural ingredients. 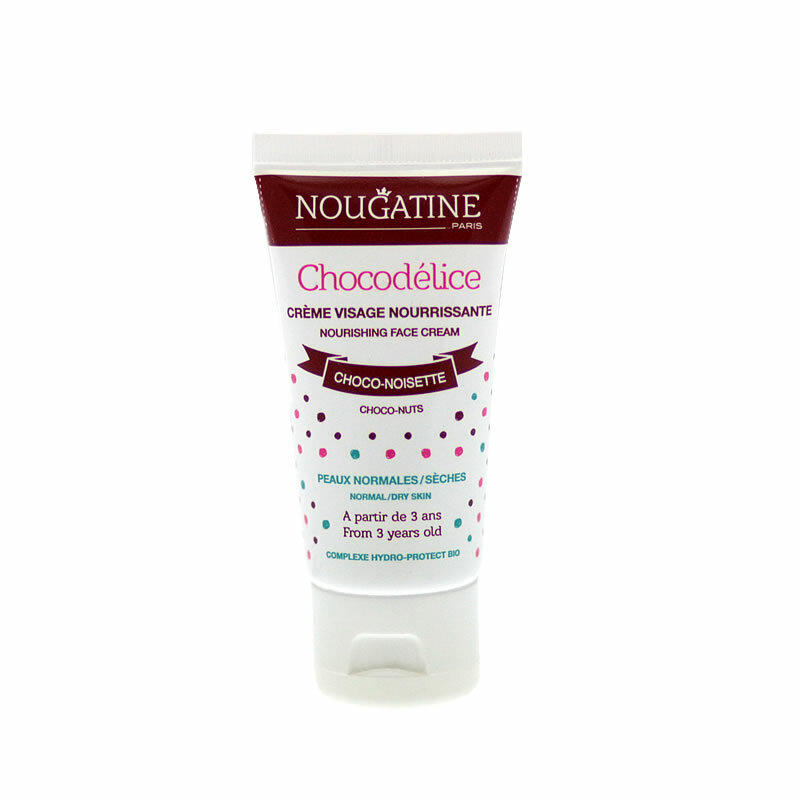 A rich face cream to nourish, repair and protect your skin. The Organic Hydro-Protect Complex improves the formation of a protective film to rebalance skin water loss. DERMATOLOGICALLY TESTED - For the chidren from 3 years. 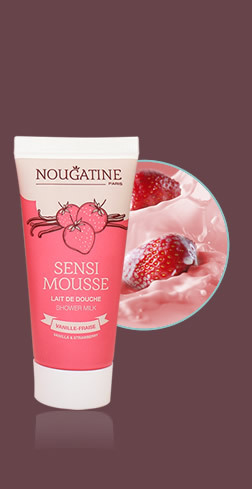 SILICONE FREE, ALCOHOL FREE, SULFATE FREE. 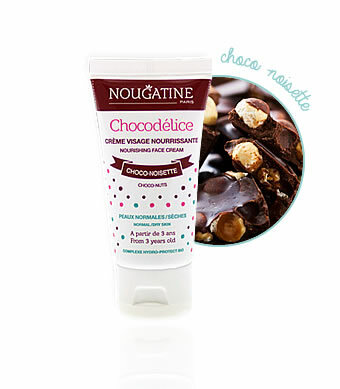 After cleansing your skin with Chantimousse, apply a dab of cream Chocodélice to your face. 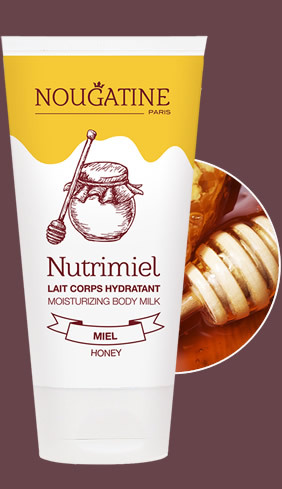 Result: your skin is soft, moisturized and comfortable all the day. **% of satisfaction. Efficiency test on 21 persons during 21 days. AQUA (WATER), DICAPRYLYL ETHER, POLYGLYCERYL-2 DIPOLYHYDROYSTEARATE, POLYGLYCERYL-3 DIISOSTEARATE, GLYCERIN, ISOPROPYL MYRISTATE, MAGNESIUM SULFATE, PRUNUS AMYGDALUS DULCIS (SWEET ALMOND) OIL *, SODIUM CHLORIDE, MACADAMIA TERNIFOLIA SEED OIL *, ACER SACCHARUM (SUGAR MAPLE) SAP *, MEL (HONEY) * , RICINUS COMMUNIS (CASTOR) SEED OIL, , BENZYL ALCOHOL, PARFUM (FRAGRANCE), DEHYDROACETIC ACID, TOCOPHERYL ACETATE, TOCOPHEROL, CI 77491 (IRON OXIDES), CI 77492 (IRON OXIDES), CI 77499 (IRON OXIDES).